In this page I will try to introduce you in the world of Quadcopters. In this small but very fun full world their a lot of new terms that you will need to understand before you can enter and make your first fly. I do not want to compete with Wikipedia, but I hope this Quadcopter Glossary will be added to your favorite web pages in the quadcopter section. Hexacopter – A multi-rotor aircraft with six rotors. The beauty of the hexacopter is that he’s able to lose any single engine and still land. Drone – A newer slang, perhaps, definition is for any unmanned aerial or underwater vehicle. The word is closely associated with the large UAVs used by the military agencies to drop small bombs and conduct surveillance. (UAVs, yes another new term that need to be explain). Officially, “drone” defines a humming sound or a male bee which mates with the queen. Officially the “drone” term defines the male of the honeybee and other bees or a low continuous noise that does not change its note. UAV – Is an acronym for Unmanned Aerial Vehicle (aerial or underwater vehicle), with no pilot on board. UAVs can be remote controlled aircraft or can fly autonomously based on pre-programmed flight plans guided by the onboard GPS system. 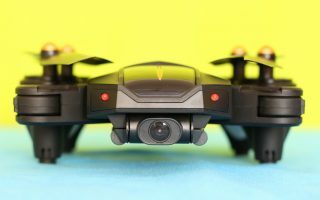 These days, many are equipped with video cameras and FPV systems. sUAS – Short for small unmanned aircraft system, a term that generally describes battery-powered aircraft (quadcopter) with very low weight that can be picked up by one person. Autonomous flight – Some UAVs are controlled by internal programming that tells it where to fly guided by the onboard GPS system, as opposed to being actively steered by radio control from the ground. GPS – Global Positioning System used to track movement or hold position on certain advanced quadcopters like the Dji Phantom. AP – Acronym for Aerial Photography, is the capability of a quadcopter in taking photographs of the ground from an elevated position. FPV – Acronym for First Person View, also known as Remote Person View (RPV). 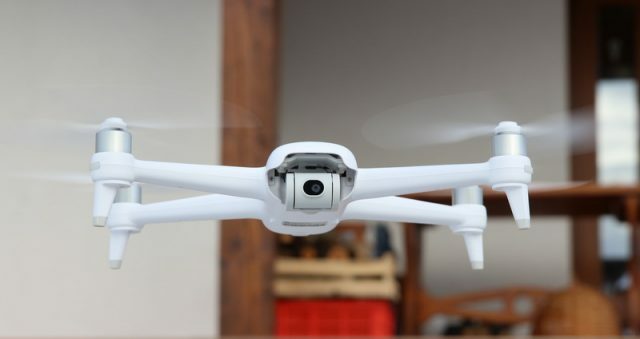 The FPV system is based on a camera (like GoPro) mounted on the quadcopter which lets the operator see what the aerial vehicle is seeing in real time. Gyroscope – A device that measures angular velocity and helps maintain orientation of the quadcopter. Usually quadcopters are using triple-axis gyroscope. ESC – Is an acronym for Electronic Speed controller used to speed up and slow down the motor. The ESC can control separately each motor’s speed. Flight control system – Is an interconnected network of controls which allows a pilot to fly a quadcopter or any other multi-rotor. NAZA is a flight controller used on the DJI Phantom drones and contains the main controlled chip along with a gyroscope, accelerometer and a barometric altimeter. Brushless Motor – Also known as electronically commutated motors, a brushless motor has permanent magnets which rotate around a fixed armature eliminating problems associated with connecting current to the moving part. The brushless motors are far more efficient and durable than brushed motors. In the future I will add more terms and definitions to this Quadcopter Glossary.